Unsung outside the boxing world, a Thai fighter nicknamed the “dwarf giant” is quietly closing in on Floyd Mayweather’s undefeated 50 fight record and with it an unlikely place among the sport’s greats. But this spring, Wanheng could tie Mayweather’s 50-0 record and enter boxing lore. His record of 49 wins with 17 knockouts has been earned against relative minnows -- many of them regional fighters -- but he has been dominant in the minimum-weight division and holds the World Boxing Council belt. “I never thought about breaking records. I just want to win every fight like all athletes who don’t want to lose. Keep winning until I quit,” he said. “When he arrived, he didn’t have the best skills, but he got to that point with determination,” gym owner Chaiyasit Menayothin said. Wanheng’s legal name is Chayaphon Moonsri. But like many fighters in Thailand, in both boxing and Muay Thai, he has several nom de guerres for the ring in a nod to sponsors, gyms and his own style. His endurance in bouts combined with his size earned him the label “dwarf giant”, while his alias Wanheng Menayothin derives from the gym owner’s name. To add to the confusion, a promotional tie-in sometimes sees him add “Five-Star Grilled Chicken” to his title because of a sponsorship deal with a Thai food giant CP. He is not alone. 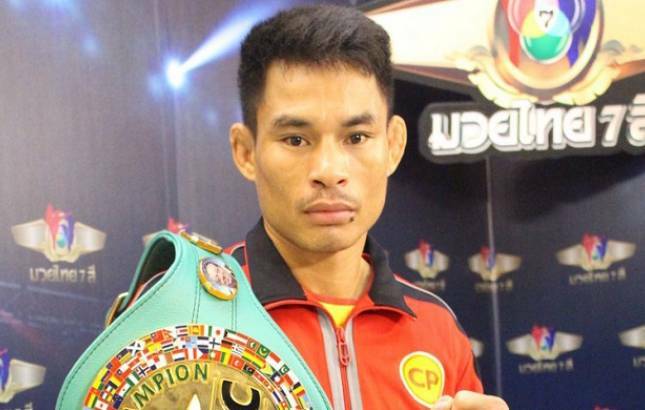 Another Thai boxer competing around the same weight division punches under the alias “Knockout CP Freshmart” while other fighters have taken on the name of a Thai battery company. Down a quiet Bangkok road fringed with palm fronds, Wanheng’s gym is in a large shed partially exposed to elements, with a ring, weights, rows of equipment, two cats and the occasional intrusive bird. Wanheng started out in Muay Thai but made the career change as he was running out of opponents, according to the gym owner. But the move to boxing can also bring a higher-profile and more prize money. In preparation for the historic 50th bout, trainer Supap Boonrawd, 54, is working Wanheng hard through intense daily sparring and fitness sessions and the thud of punches landing on heavy bags fills the humid gym.